Conserving our natural resources while preserving our way of life. The District provides natural resource conservation learning opportunities to urban and rural people by sponsoring and promoting visits to field sites where successful practical applications of conservation practices can be seen. The District is respected for its commitment, leadership and innovations in the wise use of our natural resources. We are in the midst of continuing a revolution in our society that is spawning changes as profoundly important as any born during the industrial revolution a century ago. We recognize that the only constant is change and that change itself is nothing new. What is different now is the speed at which it overtakes us. Rapid change challenges traditions. We must do more than simply adapt to what is happening all around us. To achieve the future we hope for, we must be more proactive to influence the course of change. The District's Board of Supervisors vision for the future provides both a direction in which the District should move and the energy to begin that move. From that vision the Board will develop necessary procedures and operations to create a future that is consistent with the goals of the people and within the capability of the resources. The NCCD is a leader in resolving natural resource conservation issues such as water quality, watershed planning, efficient irrigation practices, community education, value added agriculture products and range management. During the 1930's and the Dust Bowl days it, became very apparent that there was a need to conserve our soil, water and other natural resources in rural America. Congress passed the Soil Conservation Act in 1935, which created the Soil Conservation Service, which today is called Natural Resource Conservation Service (NRCS). The NRCS is a federal agency that provides personnel to work with local conservation districts in conservation planning and other technical matters. Not long after, realizing the need for landowner cooperation on a local basis, the President requested that all states pass legislation authorizing local conservation districts to be formed as local units of state governments to direct programs for protecting local resources and addressing local landowner concerns. Nationally, the first conservation district was formed in 1937 and today nearly 3,000 districts are working to conserve our natural resources. in 1946 with the boundaries of the newly created Kendrick Irrigation Project. 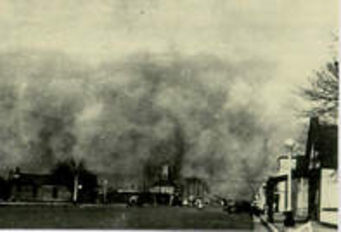 That same year, the Soil Conservation Service (SCS) placed an office in Casper to serve the new Conservation District. 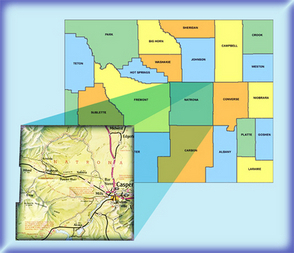 After many boundary changes, the Casper-Alcova Conservation District has evolved to include all of Natrona County, including the City of Casper. 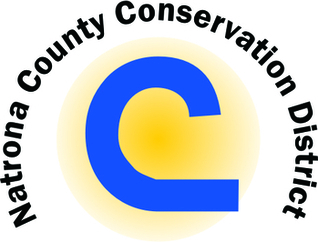 In order to reflect the broad responsibility of the District, the name was changed in 1993 to the Natrona County Conservation District (NCCD). 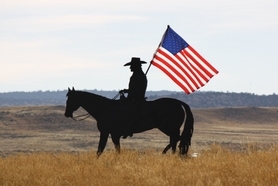 There are 34 local Conservation Districts in Wyoming. Each has specific boundaries and is governed by elected people who live within those boundaries. Their responsibility is to conserve our soil, water and other natural resources. Some of the programs offered by NCCD include: conservation tree and shrub sales, waste management, water quality monitoring and management, wildlife habitat, recycling and information/education programs. Conservation Districts, as local governments, also play a key role in federal land management planning processes and federal and state legislative and administrative initiatives affecting local conservation and land use activities.